Gardeners love to grow plants that will not survive the winter outside. Overwintering tender plants successfully takes a little preparation. Tropicals and tender perennials add beauty and charm to a patio, deck or garden in the summer. 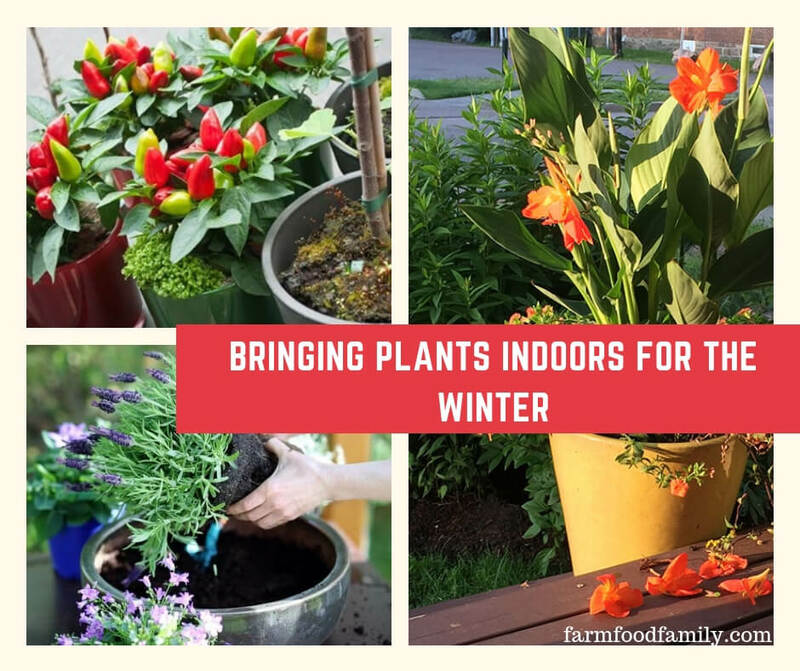 To insure that these tender plants survive to beautify the yard another year, it is necessary to bring them indoors during freezing winter weather. There are several steps to prepare to overwinter tender potted plants. Wash the plants. To clean the plants, simply take a garden hose and hit the plants with a stream of water that is hard enough to remove any dirt, grime, or insects, but not hard enough to damage the foliage. Kill the insects. Spray all plants with an organic or natural pesticide. Heated indoor air is very dry, making spider mites a particularly bothersome pest during the winter. Neem oil is a good choice that treats both insects and fungus. A mixture of 1/3 cup oil soap, 1 tablespoon baking soda, and 1 gallon of water is also effective. Make sure to spray both sides of the leaves. When using any oil product, only spray in the early morning or early evening, when the sun will not burn the leaves. Water the plants. Let the soil dry completely, then mix 1 tablespoon dishwashing liquid (not Dawn) in a gallon of water and water the plants thoroughly. The soap mixture should kill any insects lurking in the soil. Clean the pots. Wipe down the outside of the pots with antibacterial soap and water. Spores and other germs can hide in the soil on the outside of the pot. Make sure the pot is thoroughly cleaned, including the bottom and water tray, before bringing it inside. Place the plants. Find the sunniest, brightest window available. Indirect light is fine for keeping plants alive during the winter indoors, but if the light is not bright enough, plant stems will stretch. Tropicals can take less light, and some can practically live in the dark. Make sure to check the light requirements of each plant before deciding where to place it. Protect your floors. Plants will usually lose some leaves when brought into the house, so place something like newspapers underneath to protect floors. While the plants are overwintering indoors, make sure to keep the leaves free of dust and increase humidity by spraying daily with a small mister. Running a humidifier in the room is not only healthy for the plants, but for the human inhabitants, and can prevent viruses and bacteria from attacking dry nasal passages. Make sure not to overwater plants while indoors. While plants are not actively growing, not as much water is needed. Let pots dry at least two inches down before watering. Overwatering can also cause soil fungus and invite fungus gnats. By following these simple steps for overwintering tender plants, the beautiful tropicals and tender perennials will live to grace the yard with spring and summer beauty for many years to come.